I hadn’t reads the earlier book so at first some things like Emily’s dislike of Cassie ( Cassette – who names their child that??) puzzled me, but as the story continued that became clear and I felt for her. I suspect there’s more to Cassie’s actions too than we see on the surface. Emily, she’s running from her problems, and yet they always follow – its something that she knows won’t work. She married her ex in an effort to get normal, wanted what she never had growing up and though Geoff was dull he seemed to provide the normality and support she wanted. Having had a chequered family life as she grew up, then after catching the jerk out, she escaped and stayed with her sisters best friend Ben – and had a one night stand, which has resulted in her being pregnant. She was running from Ben when she found this out, and her new friend Annie comes home with her where they find a flat. Emily tries to tell Ben several times but something always stops her. Its hard as they parted on terms that make her feel he hates her, though she doesn’t know just how far from the truth that is. Ben’s been trying to get past her, past his feelings for her and make a new start, but found it difficult when she was away, now she’s back its even harder, though the attractive owner of the new shop next to his is proving a good distraction. Emily keeps on putting off telling him, despite Annie and Charlotte, her sister, Ben’s friend, telling her she must do it. As ever secrets have a way of getting out and this one does that right at the wrong moment. 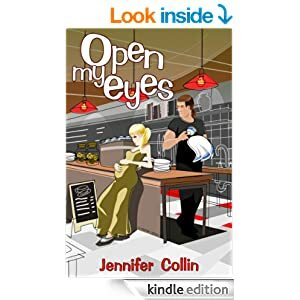 There are more than just this secret that comes out too…The story is fun, it has angst and jealousy ( I love that) lots of drama, and the others involved play large parts too making for an easy to read, light hearted, enjoyable romance. There’s more to the story that just the romance, and I enjoyed the sub plots, the side diversions that occurred too. I loved the characters, and would happily read more in this series. I want to know more about what happens with them all. Its priced at just £1.85 for 293 pages. Stars: four and a half, a good fun read.